Track the Park Trail from your IPhone! 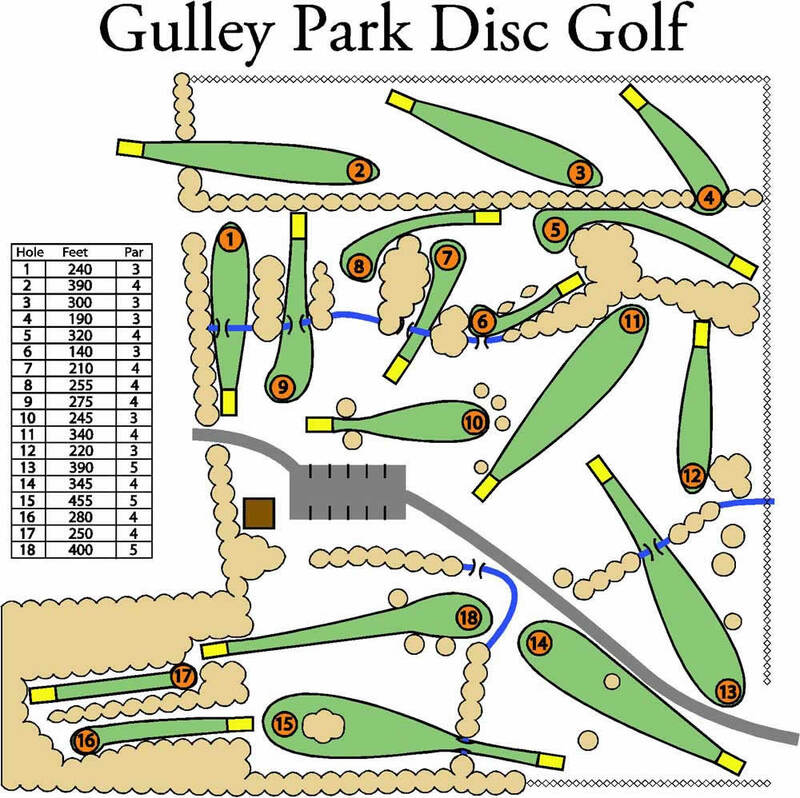 Gulley Park and Trails is located along the side slopes above the Little Miami River near Fort Ancient Indian Burial Ground approximately 6 miles southeast of Lebanon, Ohio. Leaving Lebanon, travel approximately 2 miles southeast on State Route 123 to Route 350, turn left traveling through Fort Ancient State Park and Indian Burial Ground to Middleboro Road Park. Or northeast on US State Route 22/3 to Middleboro Road, approximately 4 1/2 miles from Morrow, Ohio. Records reflect the property containing 119.556 acres purchased from James M. Hendrix on May 20, 1991 by Michael T. and Kathryn L. McHugh. 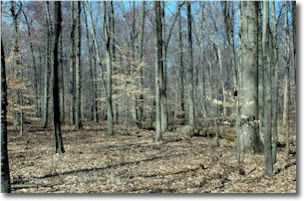 The Warren County Park District purchased 84.1722 acres in 1999 from Michael McHugh for $315,645.75. This is a scenic and rolling 84 acre tract which is situated near Fort Ancient Historical site and offers active play fields, surrounded by heavily wooded and rolling land that is perfect for hiking, picnicking and trail adventures, as well as group camping for scouts and other groups. In the fall of 1999 the Park District started construction on a Kentucky board fence on the property line between the McHugh's remaining property and the Park District. A woven wire fence was constructed on the southern property line. 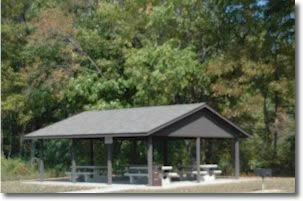 An entrance roadway, parking lot, picnic shelter with picnic table and grills has also been constructed. A 15-acre tract of land has been developed and seeded for the purpose of 5 soccer fields. A hiking and mountain bike trail is presently being developed. Fence rows and other areas have also been cleared. 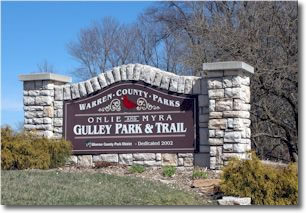 We have a beautiful entrance way and a handsome stone based park sign. The forest is very attractive and supports a more diverse woodland wildlife population of squirrels, wild turkeys and white tail deer. The species of trees found in the forest are Pin Oak, White Pak, Red Maple, Hickory, Cotton Wood, Sycamore, and Green Ash. Pin Oak growing in Clermont soil often exceeds 100 feet in height. There is a unique small vernal pool near the southeast corner of the property; the pool appears to be man made. The pools are shallow depressions that retain water during the winter through early summer. Woodland salamanders and frogs are very dependent on the pools for reproduction and survival of their young. The northwest side of the park is very rolling, a great area remain natural for other wildlife. The soil beneath the property is generally dark-brown Clermont soil silt loam materials to an average depth of one foot below ground surface. The underline soil is generally yellowish brown clay loam materials. The subsurface deposits are underlain by thin layers of glacial till material and then bedrock. The drainage-way originates on the property and forms an intermittent stream near its center. Therefore surface water flows to center of property, then northwest toward Harpers Run Creek, then into the Little Miami River.